Liquid Nutrition, an international nutritional food, smoothie and supplement store, is expanding its popular concept through franchising. Capitalizing on the growing trend of eating healthy and extreme emphasis on nutrition, Liquid Nutrition combines the two distinct concepts of healthy foods with vitamins and supplements to create an attractive market niche. The company has fine tuned its concept and R&D with multiple stores, since 2005. It is not only the Liquid Nutrition Team that identifies the market opportunity for their concept. The epitome of Liquid Nutrition’s focus on healthy food and nutrition, Canada native and NBA all-star Steve Nash has recently announced that he will be partnering with the Liquid Nutrition team. Acting as a managing partner and corporate spokesperson, Steve Nash will be assisting in the expansion of the Liquid Nutrition franchise system across the United States and Canada and international licensees as well. Franchising is a method of expansion that allows Liquid Nutrition to expand their business through offering other individuals the opportunity to operate their own location with the brand, operational knowledge and support of the Liquid Nutrition team. Franchisees are granted access to training, operational manuals, marketing expertise and ongoing support developed to help them replicate a Liquid Nutrition location. Liquid Nutrition is currently in the process of completing the appropriate documentation required for them to sell franchises through Canada and the United States. As soon as these documents have been completed and filed with the necessary state regulatory agencies, Liquid Nutrition will be able to further discuss the specifics of their franchise program including initial investment, support schedules, territory and other material items. At this time interested parties should contact them at glennyoung@liquidnutrition.ca or call (416) 889-4920. Liquid Nutrition Group Inc. (LNGI) is an international based nutritional smoothie, food, vitamin and supplement store franchisor, committed to bringing healthy and delicious eating to communities around the world. Stores are currently operating in Montreal, with franchise expansion opportunities throughout Canada and USA, as well as international licenses. For store locations or more information visit www.liquidnutrition.ca. LNGI is a privately held company that recently entered into a letter agreement with Lime Hill Corporation (TSX: LHL.P), whereby the companies announced details of their proposed qualifying transaction (the “Transaction”). The letter agreement, dated December 21, 2010, outlines the intention to complete an amalgamation of the two companies. It is intended that the Transaction, when completed, will constitute the qualifying transaction of Lime Hill Corporation pursuant to Policy 2.4 of the TSX Venture Exchange Inc. (the “TSX Venture”) Corporate Finance Manual. The Transaction is subject to the policies of the TSX Venture relating to qualifying transactions, as well as shareholder approval of Lime Hill and LNGI. Upon completion of the Transaction, the new publicly traded company will focus on the hybrid health and nutrition franchise market in North America. Francorp Inc., the world’s leading franchise development firm, has offices located worldwide and has helped over 2000 companies expand through franchising in over 35 years. Notable clients include Buffalo Wild Wings, Jimmy Johns Gourmet Sandwiches, KFC, AM/PM Mini Marts, Terminix, Mad Science Group and many others. 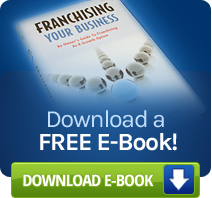 Francorp Inc. serves as a one-stop shop to provide customized franchise program development for the needs of potential franchisors looking to exponentially expand their business. To learn more about Francorp Inc., their clients, or how to franchise your business, visit www.Francorp.com or call 1-708-481-2900 or toll free 1-800-FRANCHISE (372-6244).